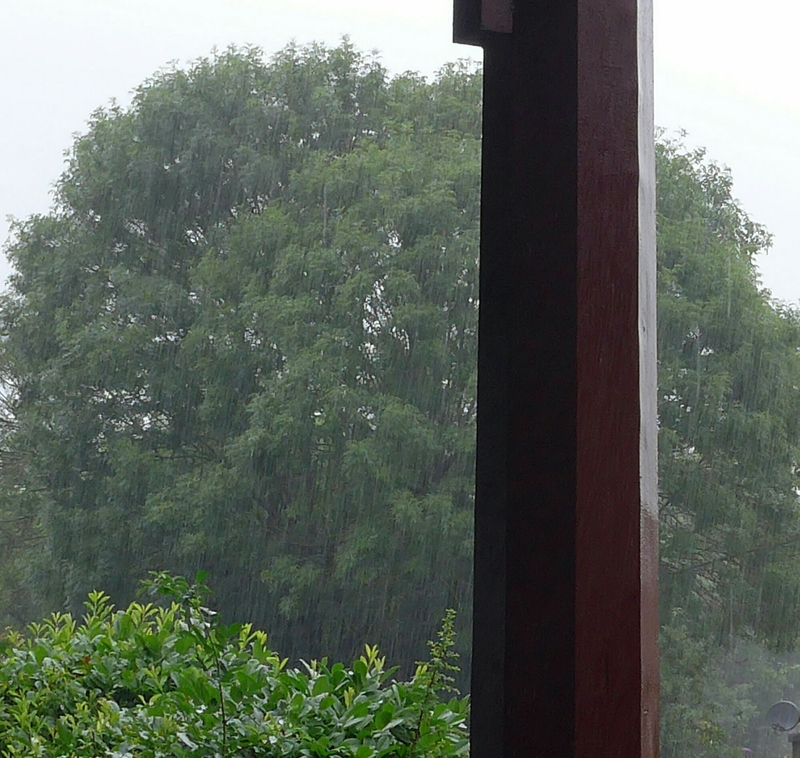 Goodness me but we had a busy and disturbed night with thunder, lightning and torrential rain. This morning I went into Bath to the Farmers’ Market at Green Park and just as I got under cover there we had another deluge. I hope that this picture gives you an idea of how heavy it was. Additionally this seems appropriate and is wonderful anyway, do have a look (if the link works).